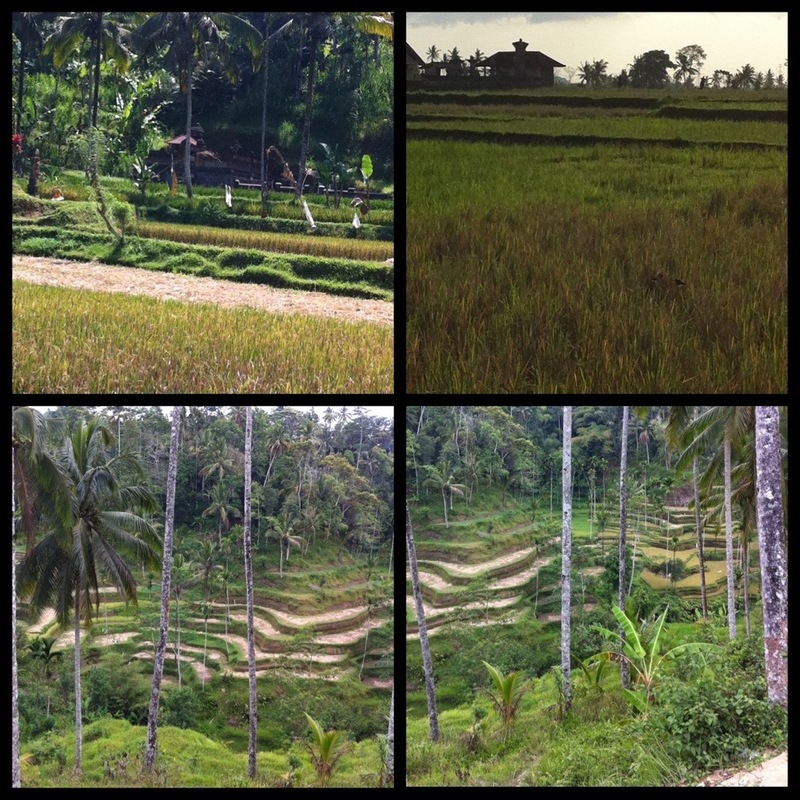 Bali, Indonesia…another day in this magical place! 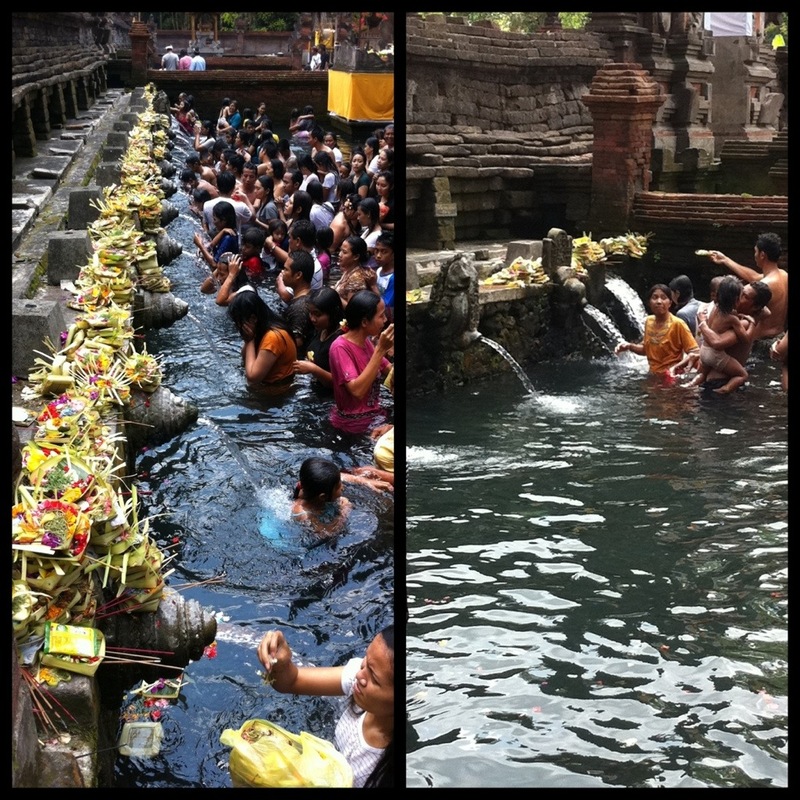 Today we wanted to see some of the traditions of the Balinese! A ride through amazing terraced rice fields was picturesque…many of the fields were being harvested so they weren’t as lushly green as they are some other times! But they are still beautiful and seeing the vibrantly dressed ladies working the fields was a neat experience! The sacred waters cleanse many ills! 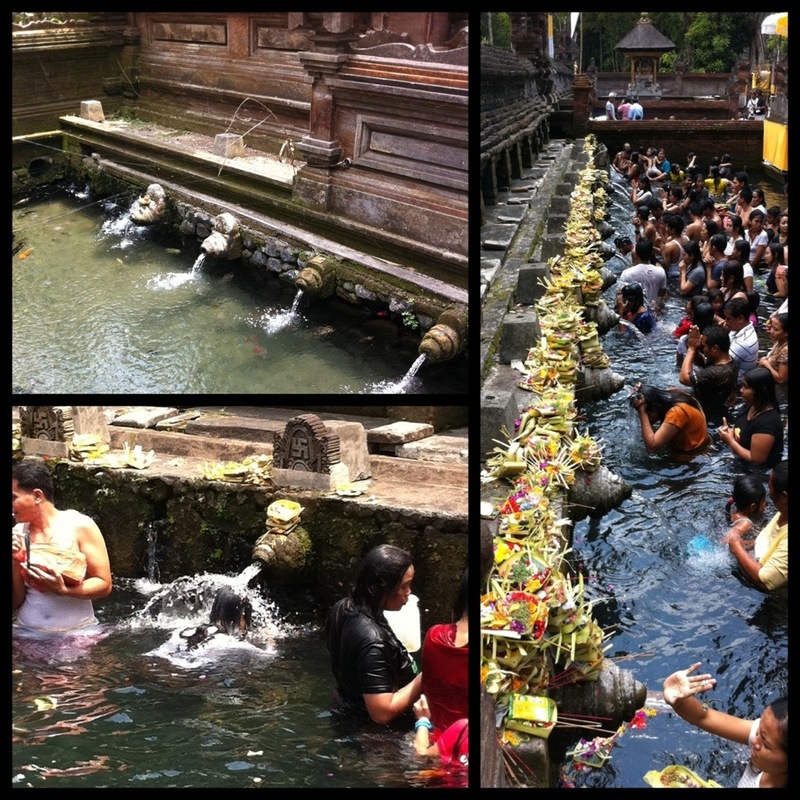 The spirituality was palpable and it was an incredible sight seeing all the locals filling the holy spring pool. One by one they submerged themselves under the spout after delivering their offering to the Gods! Bali is home of deep Hindu traditions, a gentle and lovely people, and a serene sensibility. Luckily our driver supplied an array of batik sarongs for us to wear and made sure we were appropriately outfitted for this holy site! 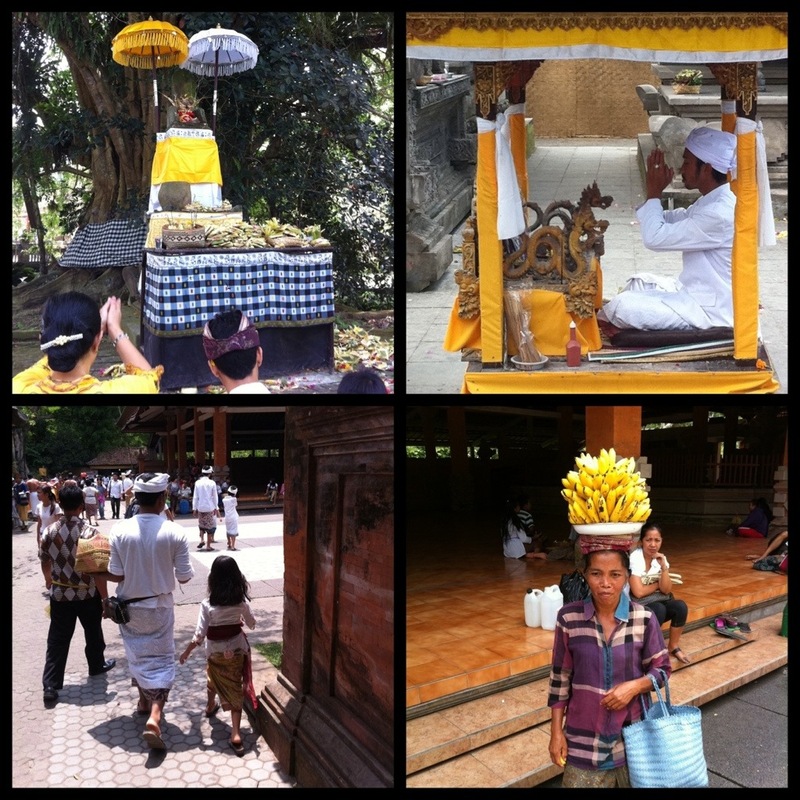 Ienjoyed wearing Balinese attire and taking part of these beautiful and moving traditions! « Older Post An Elephant of a Ride! » Newer Post Monkey See, Monkey Do! Looks like you quite enjoyed your venture there. Great post!